In Monday's round-up of news briefs, a quick look at weekend pick ups at the Toronto International Film Festival including The Place Beyond the Pines, Aftershock, Great Expectations and more that will head to a theater (hopefully) near you. Also Beasts Of The Southern Wild takes a top prize at the Deauville Film Festival in France. 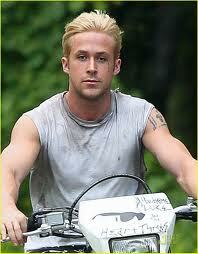 The new drama starring Ryan Gosling, Bradley Cooper and Eva Mendes will be released in the U.S. via Focus Features. Directed by Derek Cianfrance (Blue Valentine). A World Premiere at the Toronto International Film Festival, the film explores the consequences of motorcycle rider Luke (Mr. Gosling)’s fateful decision to commit a crime to support his child. The incident renders him targeted by policeman Avery (Mr. Cooper), and the two men become locked on a tense collision course which will have a devastating impact on both of their families in the years following. The Toronto Gala starring Ralph Fiennes, Helena Bonham Carter, Jeremy Irvine, and Holliday Grainger, will head to theaters in North America via Outsource Media Group. Directed by Mike Newell, Great Expectations is a retelling of the classic and beloved Charles Dickens story of the young orphan Pip, who is given a chance to rise from his humble beginnings thanks to a mysterious benefactor. Moving through London’s class-ridden world as a gentleman, Pip uses his newfound position to pursue the beautiful Estella, a spoilt heiress he’s loved since childhood. French director Michel Gondry's Cannes Directors Fortnight opener The We and the I, which is having its N. American premiere at the Toronto International Film Festival, will open in theaters in the U.S. and Canada in early March. Distribution partners 108 Media and Paladin acquired the rights to the film that follows a group of Bronx high schoolers who board a city bus on their way home. With summer break ahead of them, and feeling more liberated than usual, this broad array of kids--the cool ones, the outsiders, and everyone in between--act out as only teenagers can and, in the course of one afternoon, their friendships, rivalries, ambitions, and anxieties are revealed. U.S. rights to Sergei Loznitsa's In the Fog are headed to Strand Releasing. The film follows three men three men who find themselves deep in a forest during World War II and face a moral conflict. It received a FIPRESCI prize in Cannes. The film is currently playing Toronto. The doc by Lucien Castaing-Taylor will open theatrically in early 2013. The film takes a look at the commercial fishing business in the North Atlantic. It is having its North Americna premiere in Toronto and will have its U.S. debut at the upcoming New York Film Festival. Benh Zeitlin's debut film won the Grand Prize at France's Deauville Film Festival as well as the Cartier Revelation Award, while Lucy Mulloy's "day in the life Cuban drama" took the Jury Prize. The International Critics Prize went to Michel Gondry's The We and the I, THR reports. Dimension picked up rights to Aftershock, which is screening at the Toronto International Film Festival. The film is an earthquake thriller scripted by Roth, Nicolas Lopez & Guillermo Amoedo. The label headed by Bob Weinstein also picked up rights to Eli Roth's Clown, which is based on a fan-made trailer that grabbed Roth's attention after it went viral, Deadline reports.